Make a wish for #Buddyfight2017! Time sure flies! It’s just mere days before Christmas, and to the end of 2016! Hope you’ve had a wonderful year with your family, friends, classmates or colleagues… playing Buddyfight, of course! As we prepare to head into 2017, we hope to hear what is your wish for Future Card Buddyfight in the new year! Any development you wish to see in the game? Maybe you have a brilliant idea for a new card that you want to share with us and the world? Or perhaps you hope to claim the World Champion title of next year’s tournament circuit?! Share your wish for Future Card Buddyfight on your Facebook status with hashtag #Buddyfight2017! Don’t forget to set post to public so we can see it! 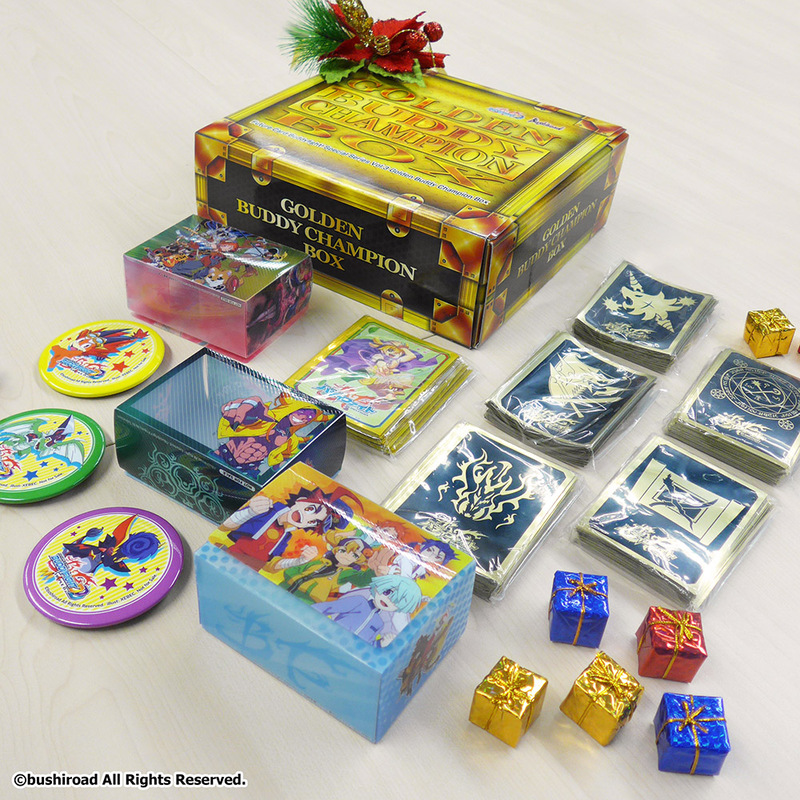 Still in the festive spirit of giving, everyone submitting their wish stands a chance to win random official Future Card Buddyfight sleeves, and one lucky winner will get 1 set of Golden Buddy Champion Box filled with Buddyfight goodies! Here are the Buddyfight goodies up for grab for the lucky winners! What are you waiting for? Make a wish! 2. Please set the post’s privacy setting to public and use hashtag #Buddyfight2017 so we can see it! 3. Only entries before December 31, 2016 23:59 (GMT+8) will be considered. 4. Winners will be contacted directly via Facebook. 5. Prizes will be mailed out by normal mail. Kindly note that Bushiroad will not be responsible for any lost mail. 6. All decisions by Bushiroad are final.